The recent Florida trip was a hard one. But, I must say P didn’t just survive the trip, she actually thrived. A few changes have happened. A big one is the introduction of “wubbies”. P has never had a toy she clings to. She’ll tell me she wants to take one of her monkeys or Pooh or Minnie with her when we leave the house but then she forgets them in the car or even in the house before leaving. While in Florida I noticed she started going to bed with some stuffed animals she found around my mom’s house. So, every night she took: piggie, monkey, bee, lamb and Hello Kitty in a lamb suit to bed. We slept in the same bed the entire trip and I feared the separation once we returned. To my great surprise she now sleeps through the night in her own bed until 5am and then climbs into bed with us. 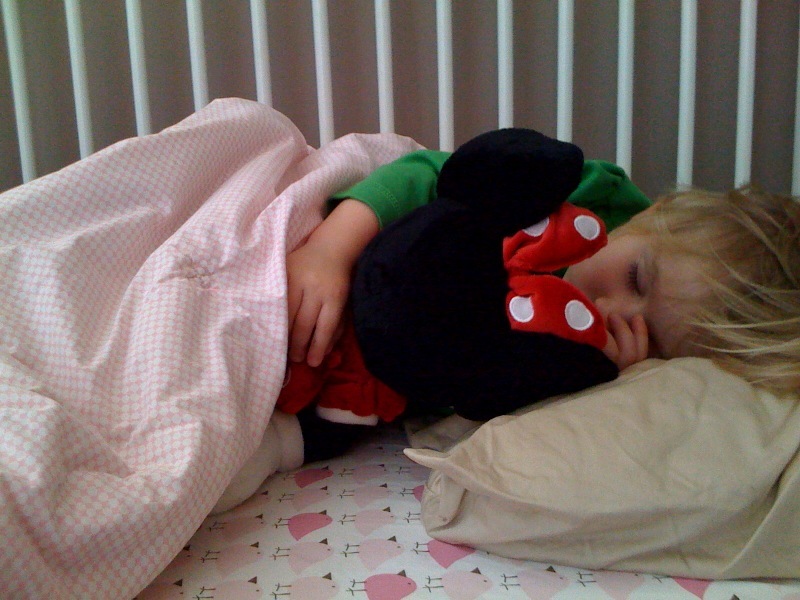 She goes to sleep with two of her Minnie Mouses….Mice. According to “The Happiest Toddler on the Block” wubbies are a good thing. They are the transitional object between me and being on her own. It’s a sort of independence stepping stone. I personally wouldn’t call it a “good thing”. I need a wubbie of my own to transition through her independence….something I NEVER thought I’d say!